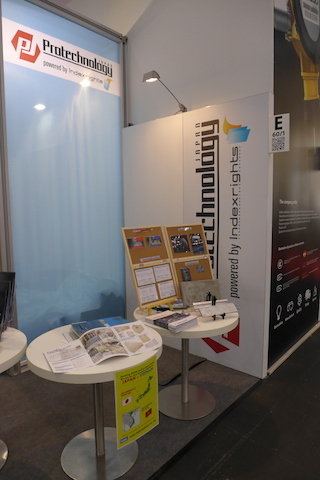 In spring 2016, Indexrights Co., Ltd. organized two large exposition events: an exhibit at Germany’s EMO Hannover Messe and the Cross-European Caravan. Hannover Messe is the world’s largest industrial trade fair. Held annually, the show welcomes some 5,000 exhibiting companies, more than 200,000 attendees, and about 3,000 members of the media, all participating from around 100 countries. A variety of products from different Japanese companies were displayed at the Indexrights booth, capturing the attention of attendees. These Japanese industrial products were extremely interesting from a global perspective and included a variety of sample products: created from high-precision machining, Japanese toys finished solely with polished aluminum, electronic machinery control panels that can accommodate world standards, and air filters that output purified air. After exhibiting at Hannover Messe, Indexrights then proceeded to hold the Cross-European Caravan. The Cross-European Caravan is a collaborative project between Indexrights and the Saarland state government in southwest Germany. It involved Japanese industrial products being loaded into a caravan of vehicles and toured across Europe, making stops in the parking lots of companies in Germany, the Netherlands, and France. Small exhibitions were held in meeting rooms to introduce Japanese technology and products. Many CEOs and engineers from the European companies took advantage of this innovative project to visit the exhibits, and it was not only an opportunity to exchange information and introduce each other’s companies and technology but also a chance to touch and see products in person. The participating companies demonstrated strong interest in them. These initiatives aim to not only improve the awareness of Japan’s small and mid-size companies in Europe, but also to expand their sales in the European market. The exhibitions in spring 2016 served as an opportunity to further business discussions and even led to many orders being placed. Again, people could appreciate the high level of Japan’s industrial products. Japan’s small and mid-size companies that seek to promote themselves worldwide on their own often encounter a variety of barriers such as different languages and business practices. Despite the fact that there are opportunities for business growth in many different areas, lack of recognition on the global stage means tremendous missed opportunities. We invite European companies interested in welcoming our caravan—and Japanese companies that want to use the caravan to exhibit overseas in 2017, thereby gaining a foothold abroad—to contact Indexrights. Indexrights serves as a bridge linking the manufacturing industry of Japan with the world.